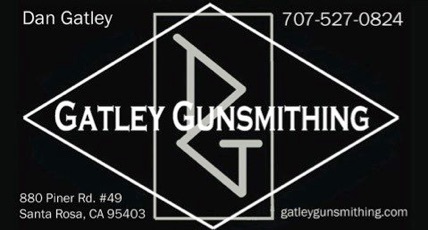 My name is Dan Gatley I am the owner of Gatley Gunsmithing. I am a certified gunsmith from CST Colorado school of trades. I also studied under Doug McDougall of McDougall Specialties. We have been located here in Sonoma county for over a decade. We currently have parts for sale on gunbroker.com search under gatleygun. on April 15th 2015 we are unable to reopen.